Newsweek recently published an article by Steve Tuttle titled “Addicted to a Run.” While the article was mostly about the fact that Steve Brewer has not missed a day of running in 25 years. Tuttle does not mention that there are many other runners who have even longer streaks. I must admit that I’m a slacker now: my streak only lasted a bit over two decades. Having been a running fanatic, I have wondered if running can be an addiction. I am inclined to say that it can. After all, it can actually start to cause problems in a person’s life in a way that is comparable to recognized addictions. In my own case, I would run even when sick or injured and would give my running and racing priority over almost everything else. I even ran to the point that running was actually making me less healthy: I was so over-trained that my blood pressure was elevated (but still pretty good for my age) and I felt horrible. I eventually ended my streak and now have a much healthier approach to my healthy approach. Of course, there are some important differences between running addiction and other addictions. First, running in moderation is very beneficial in many ways. In contrast, moderate drinking might have some minor health benefits and “moderate” heroin use has none at all. Second, running seems to be easier to control than other addictions. True, I was hooked bad on running but was able to just say “I am not running today” and simply did it. Unlike other addictions, it is usually rather hard to get people addicted to running. In fact, it is usually rather hard to get people to run at all. Third, even being addicted to running is usually better than not exercising at all. 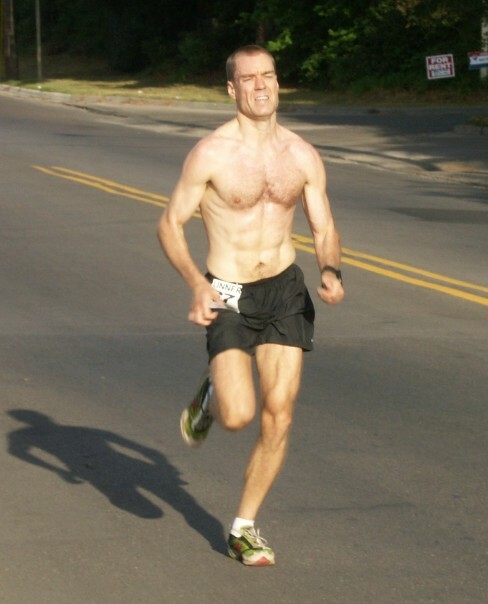 Even when I was over-trained, I was still in far better shape than non-runners. Fourth, running addiction does not seem to lead to the negative behavior of other addictions: running addicts don’t commit crimes to get more miles, they generally do not become violent, and running generally does not result in divorce or loss of employment. So, as far as addictions go, running is a good choice. I have heard that some people have used running to avoid other addictions. While I’ve never been addicted to anything else, I do have some anecdotal evidence from fellow runners that seem to support this claim. At the very least, it is hard to stay addicted to tobacco and running at the same time. However, I have known runners who were also alcoholics, so it is clearly not a perfect defense.